There is strong evidence that social protection systems can assist States in ensuring the enjoyment of at least minimum essential levels of the right to education enshrined in several instruments, such as Articles 13 and 14 of the International Covenant on Economic, Social and Cultural Rights and Article 26 of the UDHR. The right to education is unique in that it is both a human right but also a means to the realization of other human rights. As noted by the CESCR, the role of education as a tool for empowerment is substantial. Everyone shall have the right to education directed to the full development of the human personality and the sense of its dignity. Furthermore through education, human rights and fundamental rights shall be strengthened; persons will be able to effectively participate in a free society; and understanding, tolerance and friendship among all nations and all racial, ethnic or religious groups shall be promoted. Functioning educational institutions and programmes must available and sufficient and access must be given to everyone without discrimination. 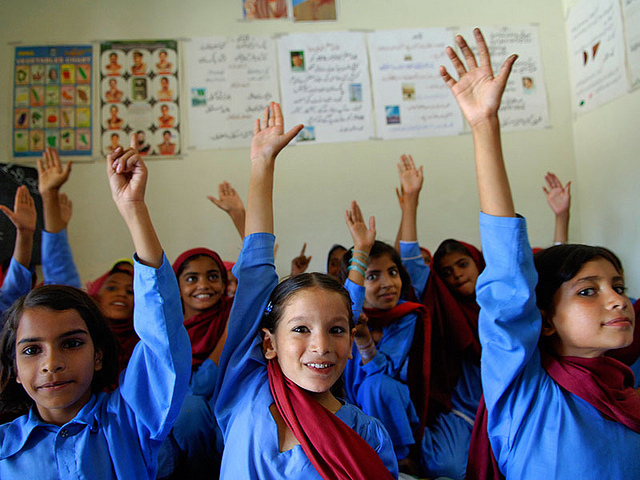 States should provide free and compulsory primary education; adequate secondary education in different forms and higher education on the basis of capacity, and take concrete steps to ensure that these are free; fundamental education for those who have not satisfied their basic learning needs; and to seek and overall developmental strategy for its school system which includes equal access to education and decent general working conditions of teachers. Not only can education enable to development of social protection but social protection can also foster the realisation of the right to education. The provision of information can ensure the promotion and extension of social protection. As a concept, “social protection education” refers to the process by which, through the provision of information and instruction, people receive education and awareness about contingencies, social security issues and available services to ensure an adequate level of social protection of the population. It has been observed that countries which have achieved appropriate levels of social protection coverage for the population have also developed sophisticated educational programmes for citizens. Furthermore education is also known to help prevent the transmission of poverty along generations by improving access to the labour market and in particular encouraging formal employment. Social protection can also enable the realisation of the right to education. Where children do not attend school because they need to work or because they are hungry or malnourished, additional resources granted through social protection programmes can provide families with the necessary additional income and access to adequate health care and translate into increased school attendance. Cash transfer programmes made conditional on school attendance and/or regular health visits can also have this effect. In this regard, such programmes must also take a comprehensive approach and that adequate infrastructure is in place (such as school, roads, transportation mediums) to ensure the attainment of such goals. Finally, social protection can result in a reduction of the direct or indirect costs associating with access to school, increasing the demand in education. Photo credit: “Education-Éducation-9” by DFTAD|MAECD (CCBY 2.0 via Flickr). Crea un régimen especial de inasistencias justificadas por razones de gravidez para alumnas que cursen los ciclos de enseñanza general básica, polimodal y superior no universitaria en establecimientos de jurisdicción nacional, provincial o municipal. Prohibe en establecimientos de educación pública acciones que impidan el inicio o continuidad del ciclo escolar a alumnas embarazadas o madres en período de lactancia.